On 2017 Thronebreaker was announced with a singleplayer campaign for Gwent: The Witcher Card Game. However, the campaign became bigger and more ambitious than expected, which made the CDPR turn it into a game of its own. The game was announced this year and was released for PC on October 28th. It brings a mix of Gwent: The Witcher Card Game and the Witcher series, merging a card game with impactful decisions and a dense story. Despite being a strange union, the Polish company hit the spot, transforming a simple game of cards into something unique and entertaining. We divided our review in two parts: One more technical, containing what the game offers, and the other, an analysis, with our opinion. 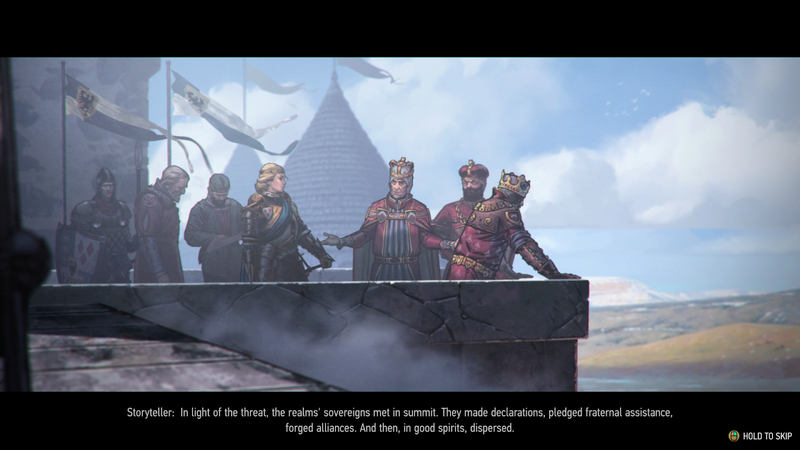 Queen Meve is mentioned in the books as being courageous and valiant, leading a guerrilla war against Nilfgaard, which had its culmination in the Battle of the Bridge of the Yaruga (a very important point of the books). 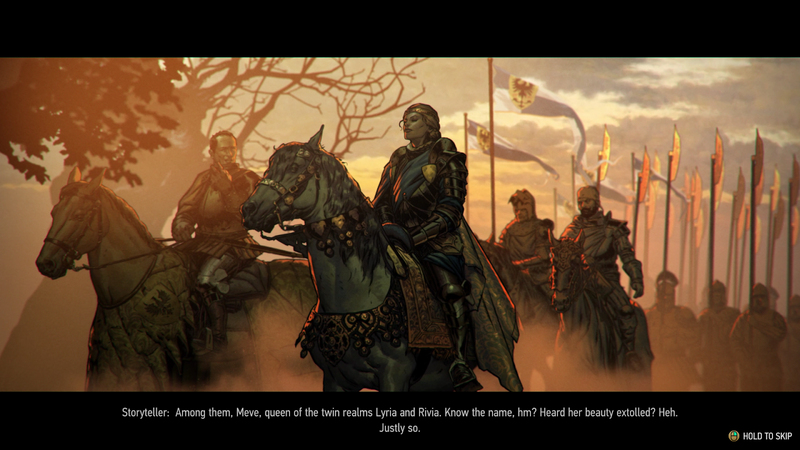 The game explores this part of the history of the II Nilfgaardiana War, expanding the narrative and the character of Queen Meve. There are also several characters with which Meve can count as allies. They have their own history and the progress of the Queen's journey can cause these characters to stay or to follow another direction. 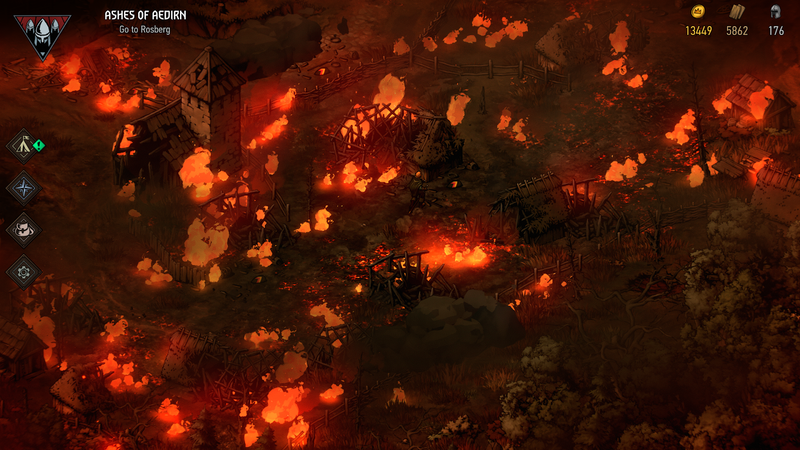 Thronebreaker merges the gameplay of an isometric RPG (like Diablo II or Baldur’s Gate) with the Gwent card system. 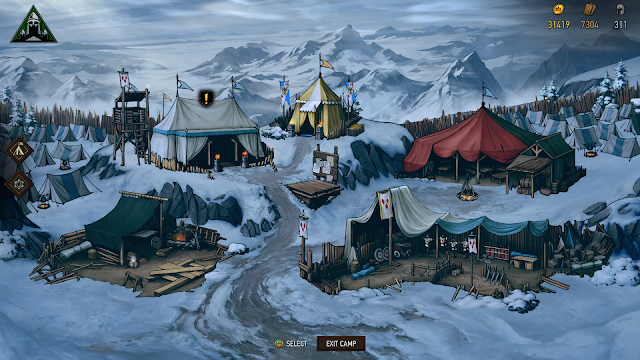 While the exploration is made from the top (isometric), the fights are decided by Gwent. In command of Meve, you not only explore the maps to follow the story, but also to get resources, such as gold and wood, and recruits for your army. These resources can be used to improve the camp and its army and to recruit new soldiers for the cause. This can all be done at the campsite, which can be accessed at any time during the exploration. 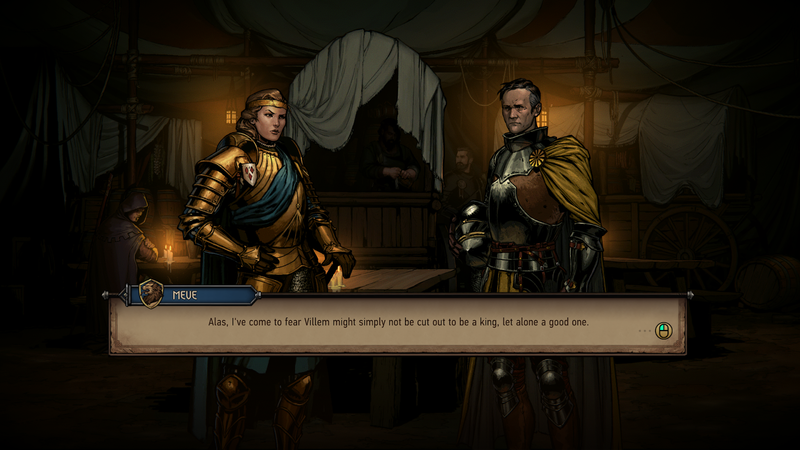 Throughout the journey, several sidequests and interactions are available, and the player can decide whether to accept them or not and what Meve will decide. In those moments, the isometric view often gives way to a narration or a dialogue of the situation. They are opportunities to understand more of the story, the problems of The Witcher world and to gain (or lose) resources. You can also earn new cards and items for Gwent (player titles, avatars and premium cards). Another important part of the gameplay is the battles. 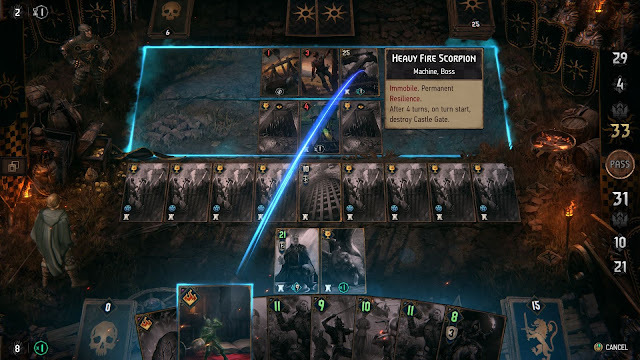 Throbreaker simulates combat and war through the Gwent System, pitting army against army (the armies being represented by a deck of cards). There are four types of battle: normal, short, puzzle and story. 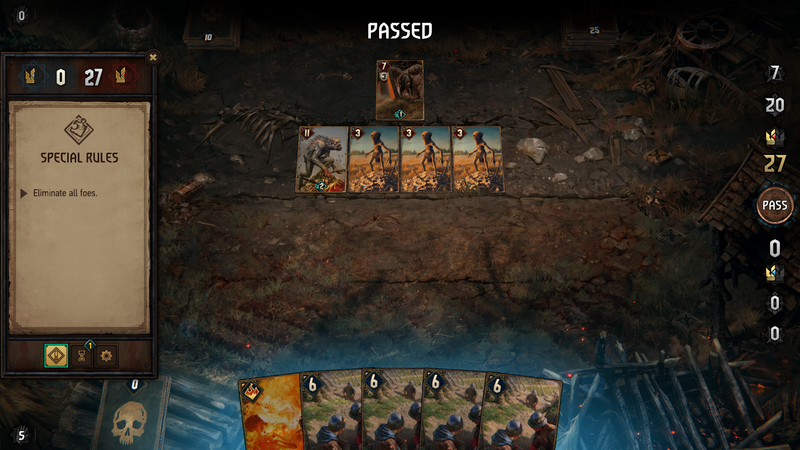 The normal is the traditional game of Gwent: three rounds with a limited number of purchases of cards and following the normal rules of the game. 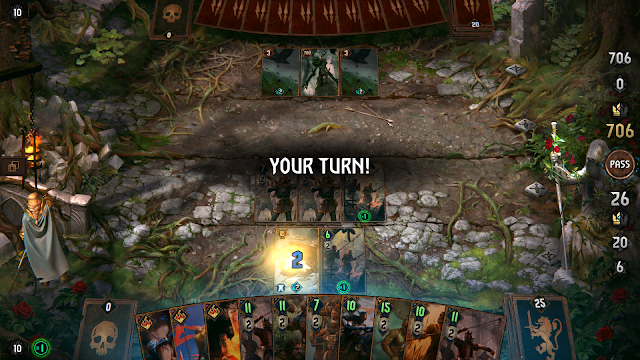 In the short battle, only the last round is played, usually with the player's normal deck. In puzzles, the rules, and the deck, are special, being made accordingly to the puzzle in question. Lastly, history battles can be either normal or short, but, differently from the normal battles, they bring elements more connected to history, as characters and/or results of past choices. The interactions with the characters are also essential to the success of Meve. Most missions and battles give choices, which can be of lesser or greater importance. Those of lesser importance affect resources and the state of mind of the army (which can be neutral, negative or positive. In the negative, your cards suffer a penalty at their strength and in the positive your cards receive a bonus), but they matter very little. However, other missions and battles strongly affect the journey and story, and may result in easier or more difficult battles or even the exit of a character. 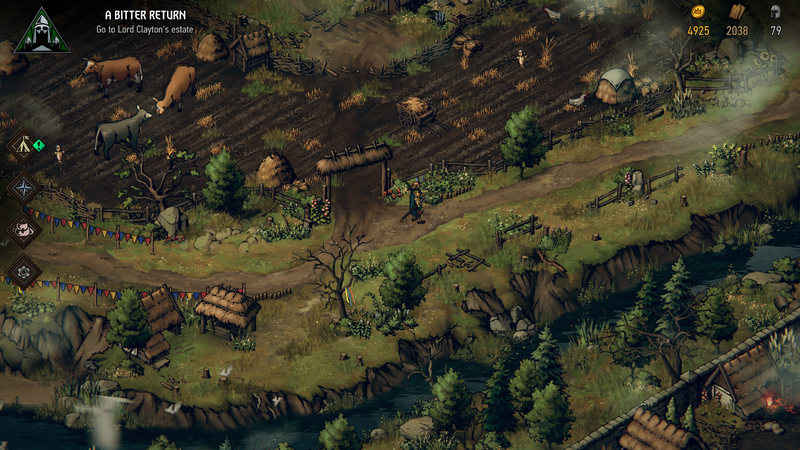 Differently de The Witcher 3, Thronebreaker uses simpler graphics, but not less polished. The art of the game is more stylised, seeking to pass the sensation of a story being told by a narrator. In the isometric view and in the dialogues with anothers characters there’re moving scenarios and vibrant colors. In the cinematic and in some narrations/dialogues, the visual changes to a more static style, which helps to dramatize the choices, and consequences, of the player. The audio changes constantly. Each map/ambient has its own music/effects, as well in important moments of the game. The songs follow The Witcher 3 in relation to the environment, but diverge in the combat songs, as each faction/Army has their own style (which is also apparent in the visual, with the battlefields varying according to the situation). The vast majority of texts and dialogues are narrated, sometimes by a narrator and others by the characters themselves. Card games are often more focused in multiplayer and deck buiding. Hearthstone, Magic: The Gathering, Elder Scroll Legends and Gwent itself follow this recipe. They are games that go contrary to RPGs and other singleplayer games, where the story and the growth of the character are the main focus. 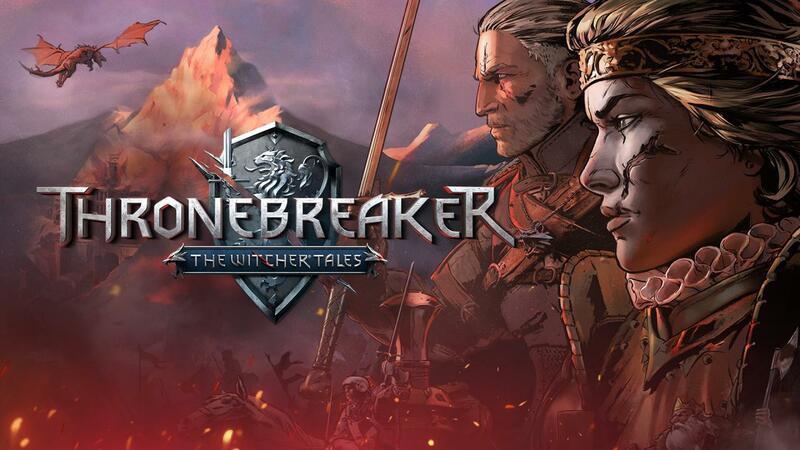 However, Thronebreaker: The Witcher Tales does not follows the other games of its genre. 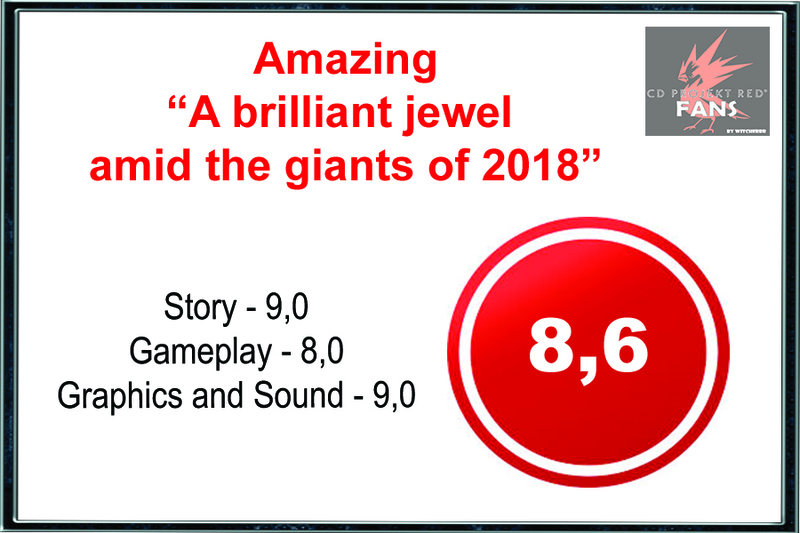 With an engaging story, focus on singleplayer battles and having the construction of the deck as an allusion to the growth of the characters, the new release is a hybrid, possessing both RPG characteristics and those from a traditional card game. The card deck simulates the soldiers and equipment of Meve’s army, as well as the cards simulates the fights and battles in the quest for vengeance. And that's done in a way that often it’s easy to forget we’re playing a card game. Battles change accordingly to the enemy and the situation, ranging from a siege to a robbery (yes, CDPR made a robbery with the Gwent system). And it isn’t only the scenery that changes: the dynamics of the game and even the available deck may vary. Which greatly raises the perception that we are participating in a long journey, and not just in a bunch of Gwent matches. The characters and the story are other positive points. As history progresses, we know more about the characters and their motivations, as well as their influence on Meve’s army. Another factor that helps the story is the decisions that can be taken along the way. 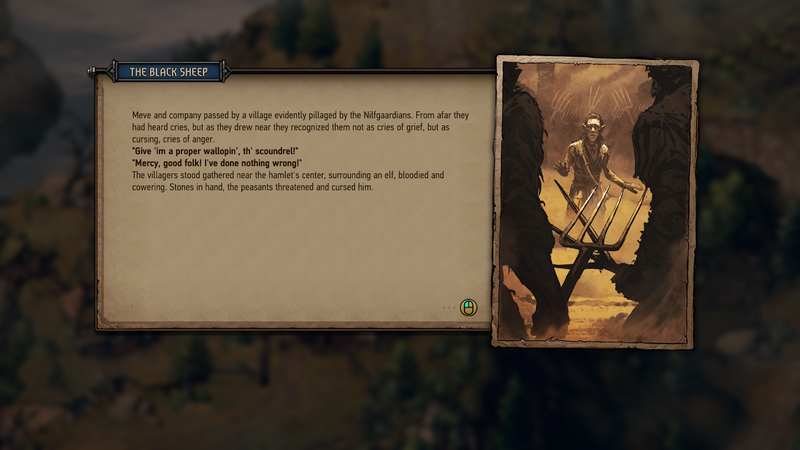 Having a lot of influence from The Witcher, the choices, in addition to spicing the story, also influence the state of the world, and may vary from available resources, the morale of the army, the gain or loss of characters (and their respective cards) and on what will be the consequences for the world and for the reign of Meve. You can feel the weight of your choices, and surely you will feel bad in many of them (in one in particular, I felt like a complete wretch for what I did). The graphics are not on the level of the Witcher 3, but are quite beautiful and polished, including good physics effects. The art of sceneries and characters helps to create an identity to the game, making it something unique and not an expansion/modification in the clothes of a new game (something that, unfortunately, has been done by many developers). The songs and sound effects were also specially designed for the game, helping in the immersion of the story and battles. The dialogues are incredible, with lip synchronization in the characters' speeches. 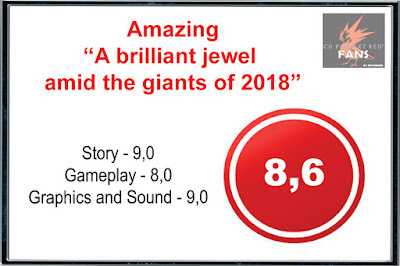 Together with the third-person narration, the dialogues convey the situations and emotions of the characters, passing joy, fear, anger and sadness to the player. 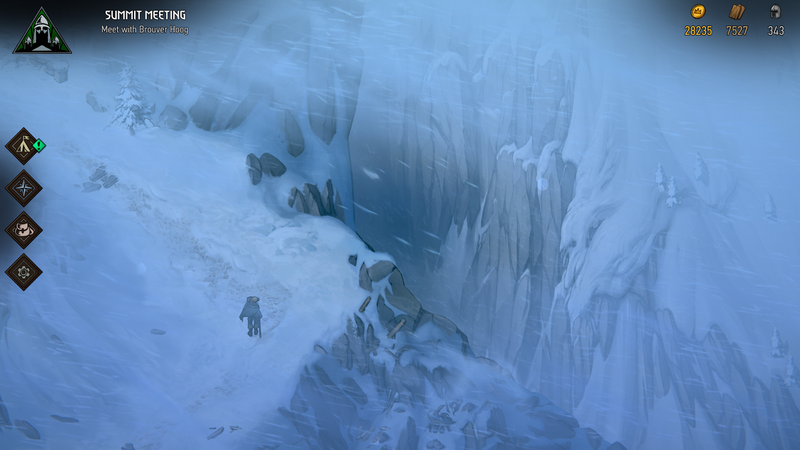 A negative point to the game is the exploration and resource search. Despite rendering many secondary missions and Easter Eggs, the exploration becomes quite repetitive and monotonous, since you basically repeat the same actions and the scenery, although beautiful and with many variations, is not very interactive. Another complaint is about the amount of interactions with the characters that, despite being dense and interesting, were few and quite short. 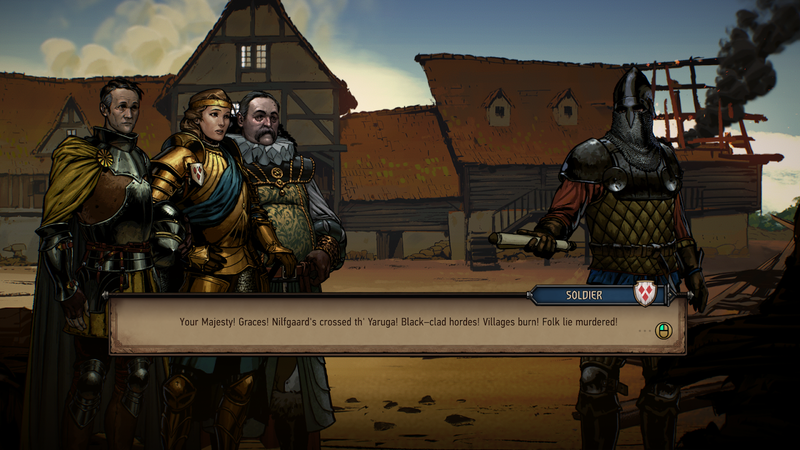 Despite the defects, Thronebreaker: The Witcher Tales is a game that deserves to be played. Incredible story, fun battles, charismatic characters and exciting scenery (despite the hassle of exploration), make the game an unique experience. In addition, you can also find characters from the books, the games and you can also unlock items for Gwent. If you like The Witcher and Gwent, Thronebreaker is an essential stop. A brilliant jewel amid the giants of 2018. Thronebreaker: The Witcher Tales is available for PC at Steam and GOG, and will be released for Xbox One and PS4 on 4 December.